Quiet location with a view! 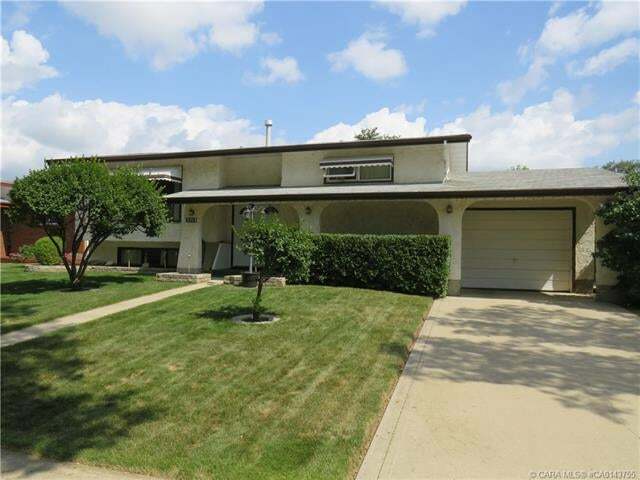 Classic bi-level home backing onto large green space! Spacious Living room, eat-in-kitchen with ample storage and raised eating bar. The sun room is where you will be enjoying the east morning sun rising up over the park behind you. You will find 2 bedrooms and a full bath upstairs. Basement features Family room, 2 additional bedrooms and another full bath. There is a single attached garage PLUS an oversized single detached in the back, plenty of room for all of your toys. You will love this yard and the privacy it provides, plus it is lush and mature with a full garden ready for picking. Fully fenced and landscaped. Walking distance to parks and Jack Stuart School. Some windows have been replaced, roof, water tank and insulation all updated. A terrific opportunity awaits to make this home your own.